Ambati Raydu’s exclusion from the World Cup 2019 squad surely raised many eyebrows from fans to the cricket fraternity. 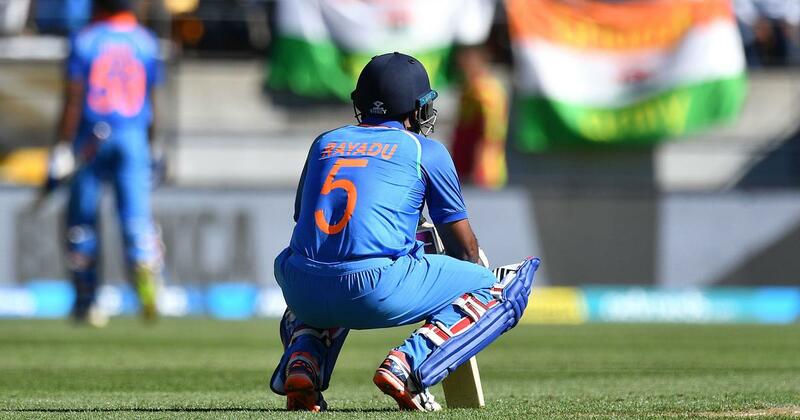 Raydu who had almost cemented his spot at number four, which was also confirmed by the skipper Virat Kohli, was left out after he struggled to get going in the series against Australia and New Zealand. Instead, the selectors came to a ca conclusion to go with Vijay Shankar for the vacant number four position, who surprisingly has never batted at that position yet. The chairman of selection committee MSK Prasad, justified Shankar’s selection was due to him being a three-dimensional player and he could be handy in many ways and also add balance to the team. Ambati Raydu who had also retired from four-day cricket in November 2018 to focus more on white ball cricket posted a cryptic tweet after the announcement. The batsman who currently is seen playing for the Chennai Superkings in the IPL is struggling for form in the IPL and will be looking to find his touch back as he still has a chance to board the flight to World Cup, as he might be considered as a replacement in case someone gets injured.